Wightman Fibre to the Home provides Quality, Speed, and Value that most cities can only dream of. 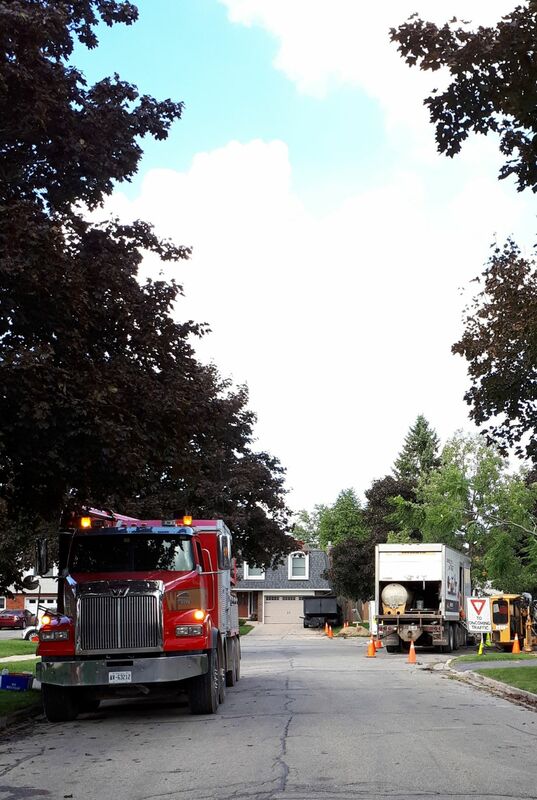 Wightman Fibre to the Home construction is underway and installs have started! Over the next 3 years, Wightman will bring Fibre to the Home to the city of Stratford. With Fibre to the Home, Wightman is able to provide customers with the most advanced technology and Internet speeds as fast as 1 Gig! To get Fibre to your home or business, you must sign up for Wightman Fibre to the Home service. We will not automatically bring Fibre to your home or business, and even current Wightman customers must sign up. Please call us at 1-877-863-4273 or Email. Wightman's Stratford store is located at 587 Huron Street, Unit 3, Stratford. 2. When does your store open? Our Stratford store opened on April 2, 2018. 3. What services can I get from Wightman? 4. Should I sign up for fibre now? Yes! There are some great reasons to sign up for Fibre to the Home now. If you sign up now, your price will be locked in based on our current prices. That could mean signing up today, you would lock in to our 2018 rates, even if you don't get connected until 2020. You will continue to enjoy the price through 2023. Signing up today also allows you to move your internet and/or phone service over to Wightman now, and start to enjoy the experience of being a Wightman customer. Knowing where the most interest is also influences our fibre design, especially in the 2019 and 2020 phases. 5. How do I sign up for fibre now? 6. When does construction start? Construction is well underway and homes in our 2018 construction area are now being installed with Wightman Fibre to the Home. 7. Where is construction happening? 8. When will you be on my street? Our construction project will occur in several stages, and this information will be available on our website or by visiting our store. Also, when we have plans to come down your street, we will advise each home and business in the area with a construction letter and information brought to your door. You won't be able to miss us! 9. How long will the project take? Our Fibre to the Home project in Stratford will be rolled out over three years, beginning in Spring 2018. 10. I've heard that Rhyzome is part of the Fibre to the Home project. Who do I talk to, Wightman or Rhyzome? Wightman will be your service provider and all questions about the project, the services, timing, and pricing can be answered by Wightman through the contact details below. Rhyzome is providing some of the fibre backbone to allow us to get around the town to deliver the service quickly. They will pass you over to us to answer any of your enquiries. You can also check out wightman.ca/stratford for the latest information. 11. Are you fibring the whole city? While construction plans are still being finalized, we will be providing Fibre to the whole city, with the exception of the down-town core (at this time). 12. Why aren’t you fibring the downtown? The small section of downtown Stratford that is not part of our existing plans will be a separate project that is still in development. Given the density of the downtown and difficulty of burying fibre up and down these main streets, our solution for the downtown core will need to be a combination of fibre and wireless. 13. Do you have plans to fibre St Mary's or Mitchell or Sebringville or any other town in close proximity to Stratford? At this time, we do not have any plans for any adjacent towns. For the next three years our resources are fully committed to the fibre construction project in Stratford. As we progress through the project we will start to plan for our next town. 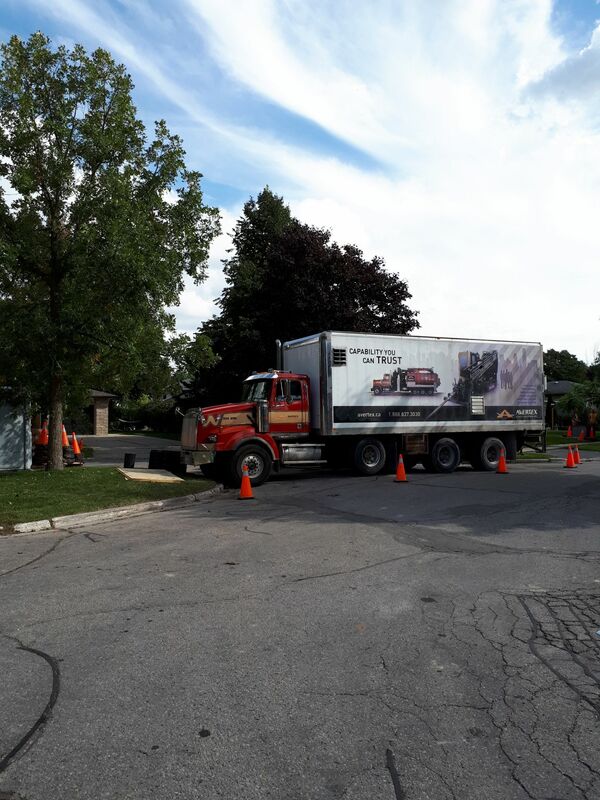 Over the next week or so, our crews will be working in the area South of Mornington Street along Elizabeth Street, William Street, Waterloo Street North, Hillcrest Drive, William Street, Haig Street and surrounding area. 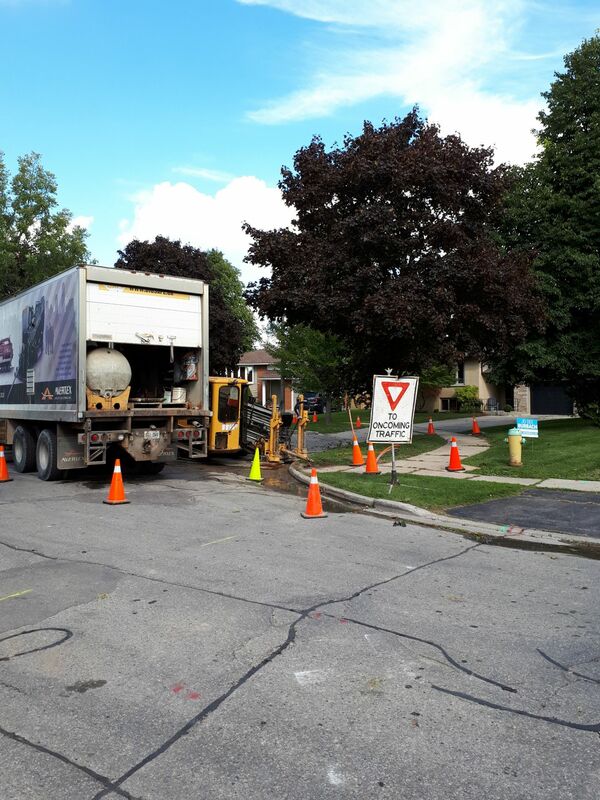 After the work of laying our facilities on Municipal property is complete, we’re able to bury fibre from the curb to the exterior of all residences that have signed up for service. This is why it’s crucial that if you want Fibre to the Home, that you contact us to let us know, as we will need your permission to bring fibre from the curb to your home. What are the benefits for Wightman of signing up for Wightman Fibre to the Home now? There are some great reasons to sign up for Fibre to the Home now. If you sign up now, your price will be locked in based on our current prices. That could mean signing up today, you would lock in to our 2018 rates, even if you don't get connected until 2020. You will continue to enjoy the price through 2023. Signing up today also allows you to move your internet and/or phone service over to Wightman now, and start to enjoy the experience of being a Wightman customer. Knowing where the most interest is also influences our fibre design, especially in the 2019 and 2020 phases. Also, installation is free while construction is in your area. While Dig Safe Month occurs annually in April, Safety is one of our values at Wightman, and locates are a very important part of our construction process. Understanding where utility lines and other services are located underground, helps us to ensure the safety of our workers as well as the safety of the buried lines. Locates help us to determine where Wightman facilities will be buried on municipal property as well as under the ground to your home! Over the next week or so, you’ll likely notice our contract company, Avertex, working along Mornington Street, as well as in the neighbourhood of Glastonbury and Coriano, as well as finishing up our work on Brett Street. Pictured below is a behind-the-scenes glance at a piece of the technology that is housed in our Point Of Presence (POP) locations. Each of the yellow lines represents a unique connection. From our Point Of Presence, we’re able to bring Fibre to the Home connections directly to homes and businesses. Thank you to all who came out to celebrate the Grand Opening of our Stratford store (587 Huron Street unit 3) on Thursday May 10. We encourage residents and business owners to stop by and find out more about Fibre to the Home, our construction plans, and the services we provide. We’re open Monday, Tuesday, Wednesday, Friday, and Saturday 9AM-5PM, and Thursday 9AM-7PM. 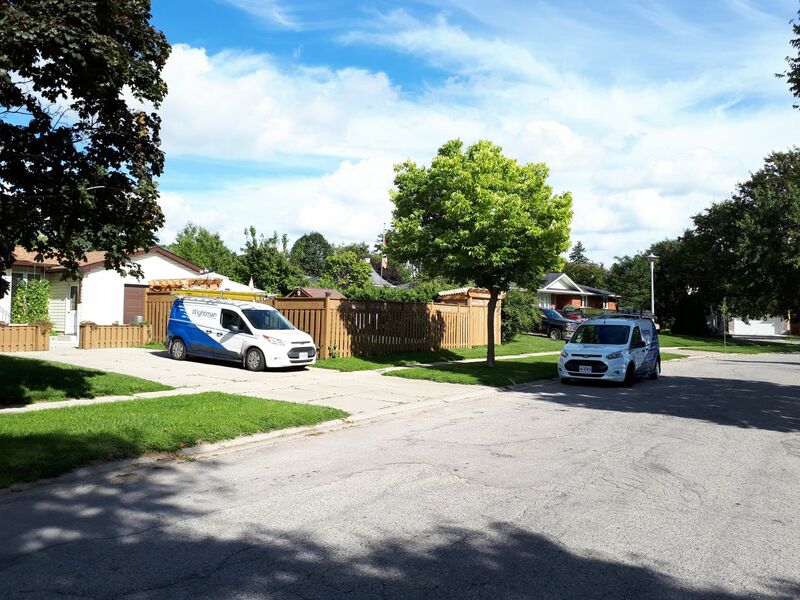 Stratford, ON – Local communications provider Wightman Telecom has partnered with Rhyzome Networks, the city of Stratford’s data infrastructure company, to bring next-generation telecommunications to homes and businesses in Stratford. 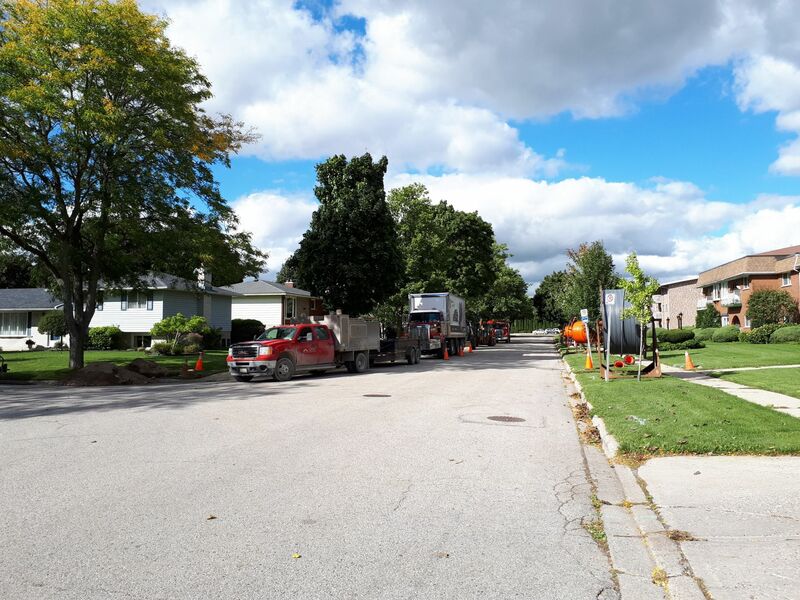 Over the next 3 years, beginning in 2018, Wightman’s $45-million Fibre project will see more than 300 kilometres of fibre optic lines buried throughout the city. Fibre optic technology uses pulses of light sent through tiny strands of glass to transmit data, allowing for a significant increase in the speed at which Internet signals can be carried. With Fibre to the Home technology, Wightman is able to provide customers with Internet speeds as fast as 1 Gig. Wightman’s President and CEO Rob Figliuzzi is thrilled to be bringing this technology to Stratford. “For many years now, Wightman has been offering its services and has been a part of the Stratford community. It’s only appropriate that we now make the significant investment in a fibre optic infrastructure for Stratford. A leading-edge technology, appropriate for a forward-thinking community, that can accommodate any home or business Internet needs today and into the future.” Stratford will mark the family-owned company’s 10th Fibre to the Home build. Wightman plans to open its retail location in Stratford in March 2018, and the company has already begun the process of hiring for several Stratford-based positions to accommodate the construction, sales, and support associated with the Fibre to the Home project. December 12, 2017: Wightman announces $45 million investment to bring Fibre to the Home to the city of Stratford. Pictured at the announcement L to R: Stratford Mayor Dan Mathieson, Wightman Co-Chair of the Board Blair Wightman, Wightman Co-Chair of the Board Paul Wightman, Wightman President & CEO Rob Figliuzzi, Rhyzome Networks President & CEO Ysni Semsedini.